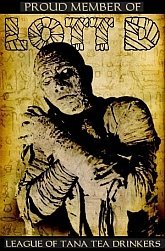 Dr. Gangrene's Mad Blog: Vincentennial Post #19 - Vincent's pet... chimp? 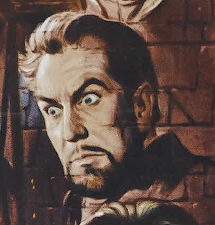 I was perusing the internet last week researching Vincent Price info when I ran across something I had never seen before. I know Vincent Price is an avid pet lover, and in fact even wrote a book about his favorite pet, Joe the dog, which I showed here. Well, I saw a post on a blog called Futurechimp that claimed that Vincent Price "...owned a performing chimp named Jerry. " Now, this just didn't seem very Vincent-like to me. Although Vinnie was a pet lover I really doubted he would have the time or inclination to own a chimpanzee, a very needy, high maintenance and messy animal. I immediately shot an email to my buddy Robert Taylor, the biggest Price fan I know and my go to guy for this Vincentennial series, and asked if he'd heard of this. He also didn't have any idea where this information came from, and agreed it just didn't sound like something that Vincent would do. But it sounded vaguely familiar. He wrote, " I have a vague idea that I've seen a photo of Vinnie, a publicity photo, with a chimp--maybe when he did THE BIG CIRCUS, or when he did the clown routine special with Red Skelton?--but my memory for that might be mixing up photos of Karloff with a chimp. But that's another story altogether." But Robert did his best Sherlock Holmes imitation, did some digging through his collection and voila! The truth uncovered! "My memory isn't entirely shot, in spite of what I think of it. I DID remember right--I went through my photos in the Price Room and I found Jerry the Chimp. 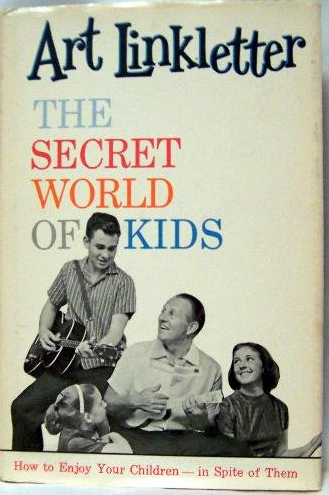 It was from an NBC special called THE SECRET WORLD OF KIDS, and here's a publicity photo from my collection. Oct. 27, 1959, it was an episode of FORD STAR TIME....JKF and Nixon were also guests! 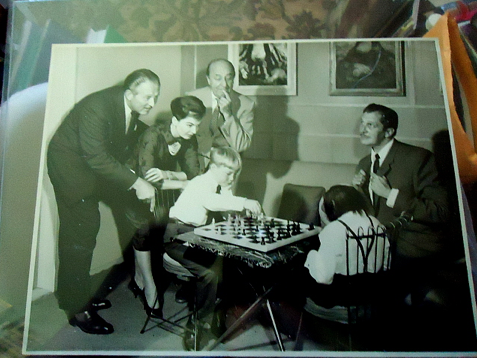 From left to right: Art Linkletter, Ann Blyth, Ed Wynn--and little Teddy Rooney (Mickey's son) playing chess with Jerry the friggin' Chimp--and Our Vinnie. It seems possible that Jerry might have been Vinnie's "pet" in a skit they did, do you reckon? Anyhow, this explains the mistake of Vinnie OWNING Jerry. By jove I think he's got it! I did a little more searching and found some additional information on that episode of THE SECRET WORLD OF KIDS. That is actually the episode title. The show that this appeared on was called FORD STARTIME. I also confirmed this information on IMDB and Wikipedia. Lassie has an IMDB page but, alas, Jerry the monkey does not. Based on his book of the same name, Art Linkletter's variety episode pays tribute to children with guests Richard M. and his mother Hannah Nixon; comedian Ed Wynn; motion picture actors Ann Blyth and Vincent Price; child performers Jon Provost of Lassie, Teddy Rooney, and Angela Cartwright of The Danny Thomas Show; the Mitchell Boys Choir; and animal performers Lassie and Jerry. Includes a modern television version of Tom Sawyer, a skit on the importance of the first baby, musical and dance numbers, interviews with children and with Richard Nixon and his mother on the Vice President's childhood, and Vincent Price's talented chimpanzee. Open -- Vincent Price and his chimpanzee Jerry -- Tom Sawyer sketch / performed by Jon Provost, Teddy Rooney, Anglea Cartwright, Lassie, Ed Wynn, and ensemble -- Price playing chess with Jerry -- Baby sketch / performed by Ann Blyth, Art Linkletter, and Wynn -- Price and Jerry playing violin -- Tea for Two soft shoe / performed by Wynn and Rooney -- Price and Jerry ballet -- Kids say the darndest things interview by Linkletter -- Price with Jerry as a bartender -- Getting to Know You / performed by Blyth -- Hannah Nixon interview -- Richard Nixon interview -- Getting to Know You / performed by Linkletter and guests. Okay, so this clearly lists the ape as Vincent Price's talented chimpanzee. Could Vincent have actually owned a chimp? The television show was purportedly a running feud between Linkletter's "abiding faith in kids" and Vincent Price's faith in chimpanzees. Price's faith in kids was shaken onstage when Tom Sawyer (played by Mickey Rooney's son, Teddy) whitewashed Price's "Blue Boy" canvas. Price was further exasperated that Tom did not enjoy his library of children's books: "Did you ever try to explain a children's classic to a child raised in front of a TV set?" The scene adjourned to "Aunt Polly's Place" where Tom Sawyer, Private Eye, observed a ten-year-old cabaret dancer executing bumps and grinds (did she wear a toy girdle?) while belting out "Blues in the Night" in a Theresa Brewer hiccough. Dialogue of the Spillane-Webb school followed, adapted to ten-year-old interests such as seduction and fast living. So it seems that Robert was right, Vincent's chimp ownership was all part of the show, a skit where Jerry was presented as Vincent's pet and Vinnie played the foil to Art Linkletter. The entire program was actually set up as a promotion for his book of the same title. You can find it on Amazon very cheaply. So the not so great ape mystery is solved. Seems likely people picked up on partial information about the show and ran with the notion that the chimp was actually Vincent's, when in actuality he owned several animals but never a monkey. As for what pets Vincent DID own - join me tomorrow for an almost complete listing!